Amazon Work Spaces is a fully managed desktop computing service in the cloud that enables end-users to quickly and easily access documents, applications and other resources. Amazon VPC is a private, isolated section of the AWS Cloud where AWS resources can be launched in a virtual network defined by the user. Amazon CloudWatch provides monitoring for Amazon Web Services (AWS) cloud resources and applications. AWS Elastic Beanstalk is for deploying and scaling web applications and services developed with popular programming languages including Java, .Net, PHP, Node.js, Python, and Ruby. AWS Identity and Access Management (IAM) enables users to securely control access to their AWS services and resources. Amazon Simple Storage Service (Amazon S3) is a highly durable and available data storage infrastructure that allows users to store and retrieve any amount of data, at any time, from anywhere on the web. Amazon Elastic Block Store (Amazon EBS) is block level storage volumes for use with Amazon EC2 instances that can be exposed as a device within an instance. Amazon Glacier is an extremely low-cost storage service for data archiving and backup. Amazon CloudFront is a content delivery web service that gives users the ability to deliver dynamic, static, streaming, and interactive content with low latency and high data transfer speeds. specialized cloud solutions designed to address sensitive data requirements and security regulations. Amazon Relational Database Services (Amazon RDS) is a web service that makes it easy to set-up, operate, and scale a relational database in the cloud. Amazon DynamoDB is a fast, fully managed NoSQL database service. Amazon RedShift is a fast, fully managed, petabyte-scale data warehouse service. The migration of existing IT services to the AWS platform is a common use case. DLT’s experts can assess the current architecture, perform the affinity mapping, and provide the optimal AWS design to support your application. Once the design is finalized, DLT will manage the migration and test the functionality of your service to ensure a clean transition. Integration of cloud based systems and on-premise resources allows for no good tool to be left unused. Design of hybrid clouds demand not only technical attention, but policy & operational due diligence as well. DLT maintains customizable policies and design patterns to enable the integration of current architectures and the AWS Cloud Platform. We can assist your stakeholders and technical staff with the creation or the review of existing security reference architecture and solution patterns in order to incorporate security comprehensively into your cloud environment, or on-premise platforms. We will work with you to publish your policies as descriptive documentation with graphical aids. The results are delivered in such a way that security is embedded within the “infrastructure as code” philosophy whenever applicable. DLT provides an import/export service with all of the functionality of the basic AWS offering, while adding a massive degree of flexibility, customization and security. Comprehensive chain of custody workflow, flexible data device support, file format conversion options, as well as pre & post migration manifesting assures you that your data will be moved securely, in whole, and made ready to be put to use in short order. Cloud native design – as opposed to most traditional migrations – is for those new IT services where the goal is to fully leverage the scalability, elasticity, and native capabilities of the cloud platform. These design patterns are often very different from those used in the design of on-premise applications, and DLT can help you design and deploy the right services for your new application. To maximize savings and efficiencies of your cloud workloads, DLT will validate your existing architectural descriptions and deployments and – where appropriate – make recommendations on changes that may increase performance, decrease costs, enable better scaling, take greater advantage of native services, and improve availability. 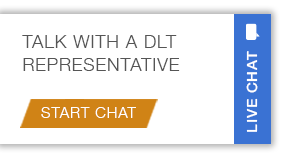 DLT's technical experts will meet with you to better understand your business and technical objectives and develop a proof of concept for your specific use case. By testing the AWS Cloud in your environment, you can eliminate risk and verify and validate the key elements of your conceptual solution prior to implementation. DLT also offers custom engagements to meet your specific needs. DLT utilizes the Cloud Adoption Framework developed by AWS to plan, execute, and provide deliverables to you. The Cloud Adoption Framework (CAF) breaks complex cloud efforts into manageable components. With its modular components based-approach, CAF allows creation of very specific and scalable adoption roadmaps. As a Premier Consulting Partner for AWS, DLT offers comprehensive training courses to ensure that our customers get the most out of their cloud environment, including instructor-led training from basic essentials to more complex concepts. Our experts can also develop custom classes specifically targeted to meet the needs of your team.